I had the opportunity to play a very small part in a great new book by Deborah Haddix called Soul Nourishment. Part One of the book is an introduction to what the soul is and how to pursue nourishing it. Deborah lays out two major categories of spiritual practices: practices of self-denial (solitude, silence, fasting, Sabbath keeping), and practices of engagement (fellowship, friendship, connecting with God with prayer and scripture) and how each affect our soul. In Part Two the book has a short chapter on each of the Spiritual Practices highlighted such as prayer, Engaging with Scripture, Solitude and Silence, Soul Searching, Soul Friendship, and Simplicity. Each of these short chapters give enough information to get you interested and hungry for more. Part Three is where the book really shines though. Part Three is an in-depth look into the resources that will help you start to integrate each of the Spiritual Practices, starting with general resources, then diving into each of the practices. This is where I come into play. In this section Deborah lists word-for-word all the information (rather than directing you to links online) that she gathered from different sources. For my part, Deborah has the entire post from my blog on Simple Bible Meditation for Complete Beginners. Before and after my section are pages full of other methods to engage with scripture such as Verse Mapping, How to Meditate on God's Word, 12 Biblical Reasons to Memorize Scripture, Tips for Memorizing Scripture, and lots more. If you are a hands-on, give me a list or a plan and I'm all over it kind of girl, Soul Nourishment is the book you want to add to your library. It'll be a resource that I refer back to over and over. This is my first time through Little Women and I've never seen a movie or TV show of it, so the story is brand new to me. One of my friends was a little jealous that this is my first time reading this book! It has been enjoyable and I'm thankful to get a chance to catch up on a lot of the classics I missed growing up. I've just discovered Paul Washer this year and there is no other pastor or speaker who has convicted and encouraged me as much as he has. I have downloaded the audio of one of my current favorite sermons of his called Four Pillars of Walking with God. (I've included the video of it below too.) Since every sermon I've heard of his has been beneficial I thought I'd try one of his books. The Gospel's Power and Message has been what I call "thick reading" but very good and a powerful look into what the gospel is. And tucked into my Traveler's Notebook along with my calendar and bullet journal is a free copy of a book from Chapel Library, Guarding Your Heart. I love these booklets and love having them handy for when I find myself with a little pocket of time. I finished the Rare Jewel of Christian Contentment (Excellent book!) the same way by reading when I have a spare moment or two. Not the fastest way to plow through a book, but it works! I'd love to hear what you're reading in the comments below, because I'm always looking for new books to dive into! oh that is one of my all time favorites!! I'm very excited for you and for your excerpt in Deborah's book. It sounds like a book I would love to read. A few years ago, I was looking all over the place for basic information on Biblical meditation. A lot of people talked about it, but noone really explained what it was. I finally settled on the book by the Navigators, but more resources are coming out, and I take heart that I'm not the only one searching that issue out. 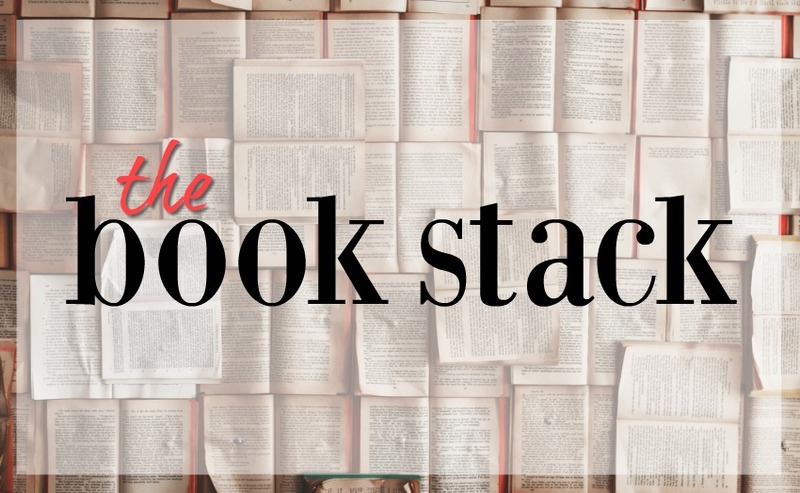 Book stacks...LOVE THEM. Your current reads look really good--I've heard of Paul Washer and heard a couple of his messages, but I haven't read any of his books. I read Little Women once when I was in middle school/junior high; the newest PBS movie rendition of this is really good (at least the ladies in our household thought so). I'd love to know what you think of the sisters and who you do/don't resonate with. I'm currently reading, Praying With Paul, by D. A. Carson. I highly recommend it. I was already being prompted by the Holy Spirit about my prayer life before circumstances brought me across this book, and so I've been encouraged while reading it. It's not a fast read for me, but it's such a good read. I am also looking at reading Gay Girl, Good God by Jackie Hill Perry. I like to get a stack of books and take a photo of them for my social media, I find I actually do read them!! Do you have a Goodreads account currently? I like using it to keep track of what I'm read/reading. I'm in shock. How does one not read Little Women?! :-O I'm assuming Little House On the Prairie (series) already hit your reading list, and I think I remember you mentioning Pollyanna. How about these other children's classics: What Katie Did (series), Little Britches (series), Five Little Peppers (series), and Rebecca of Sunnybrook Farm. Currently finishing the Titus Ray Thriller series by Christian author, minister's wife, and former missionary Luana Ehrlich. I'm not one to recommend contemporary fiction, and especially not CIA operative suspense, but her books are really well done, telling a compelling story from a Biblical worldview. Right? I'm so behind on my classic reading list! I'm adding all your suggestions to my list! Thanks! That is exciting to have bits of your writing in the book. I will confess that Little Women is on my shelf for me to read. My first goal is to read all the books that I have bought this year and have not yet read. I have 10 on that list not including anything on the Kindle. Then I will looks at some other books on my shelves. Currently I am reading Enjoying God by Tim Chester, Storytelling the Scripture, a WW2 novel, and a book on journaling. I absolutely LOVE Paul Washer. I have learned SO very much from him. I have discovered the series Christian Heroes Then and Now this year reading them to my kids and I LOVE them. We also read Kisses From Katie and I read Daring to Hope - both from Katie Davis (Majors now). I also read Insanity of God - WOW - this book totally wrecked my perspectives and what I thought it meant to give everything to God. HIGHLY recommend it.